A tenacious outbreak of tuberculosis in British Columbia demonstrates how using all the research tools available — not just the ones we're used to — is necessary to improve public health. Between May and October 2006, nurses in a mid-sized town in British Columbia saw a public health threat on the horizon. The number of tuberculosis cases was steadily increasing. Without intervention, the infectious disease was primed to overtake a community already facing an above-average number of homeless and pervasive drug and alcohol abuse. Similar outbreaks like this had happened before in British Columbia, but the size of this one was worrying. So during its investigation, the Tuberculosis/Mycobacteriology Program at the British Columbia Centre for Disease Control, led by Patrick Tang, sent two field epidemiologists into the community — the Vancouver Island town of Port Alberni — to curb the disease before it spread any further. Following protocol, the crew began collecting data with standard methods, such as contact tracing, where epidemiologists conduct interviews to follow the spread an infectious disease through a community, and tandem-repeat genetic analysis, a simple screening test that peeks into a microorganism&apos;s genes to determine if everyone was infected with the same clone of the bacterium. But had the BCCDC stopped there, as many disease centers would have done — and justifiably so — they would have drawn the wrong conclusions. Because of this town&apos;s homelessness and rampant chronic drug use, standard epidemiological techniques used in the field misread the outbreak dynamics of a group which arguably most needs public health assistance. This highlights a serious shortcoming of the current system. Tuberculosis is a complex bacterium, with numerous strains that can rapidly mutate. Forms of the disease can stay dormant for years, presenting no symptoms. And the longer the active disease incubates in a population, the more likely new drug-resistant strains are to emerge. 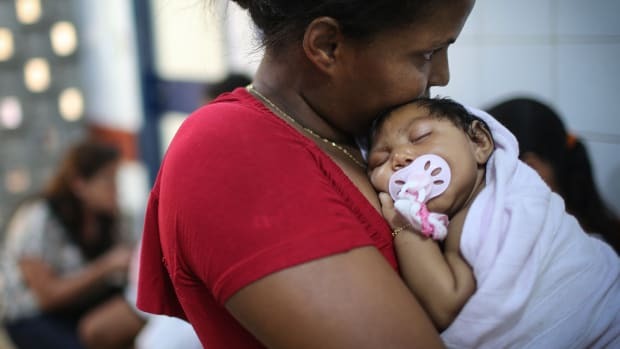 Though the rates of TB infection are on the decline in First World nations, among certain populations, such as chronic drug users and the homeless (who consequently also tend to be heavy drug users) in which the disease rates are 15 to 20 times higher than national averages. In this group, the immune system is a compromised by poor diet and hygiene, creating an opportunity for active TB to take root. 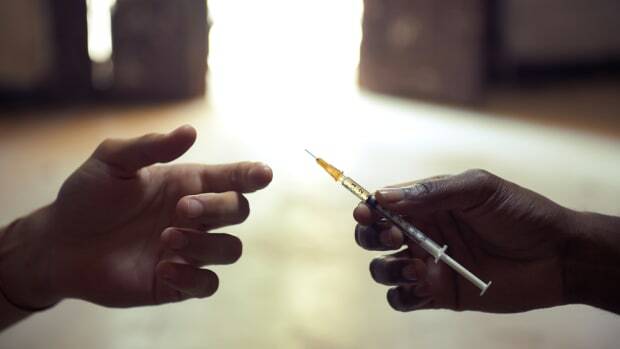 The immune system also takes a hit from the very drugs being abused, whether by chemical damage (from the compound itself), mechanical injury (smoking crack cocaine), or the cultural norms associated with use (sharing paraphernalia, close-quarters of crack houses). And while traditional methods might have sufficed to track the disease in the past, new data show that the field needs a technological upgrade to keep up with this rapidly changing target, especially as it spreads quickly through vulnerable populations. During the 2006 outbreak in British Columbia, the initial survey by contact tracing revealed that Patient Zero was more than likely a small child. The tandem-repeat genetic screening showed that everyone in the area with TB had contracted the very same clone, one that had been identified in the area a decade prior. Tang, whose team published its methods and results this past February in The New England Journal of Medicine, figures that many investigators would have trusted the results from the contact tracing and tandem-repeat screens. "Most people would just close the book and say, &apos;Well, this is one genotype. One person started this outbreak and spread it in the community.&apos; And that&apos;s it." But by sizing up this British Columbia town, the investigators knew that, in this case, standard contact tracing techniques that ask questions such as "Where do you live?" or "With whom do you work?" wouldn&apos;t apply. Many locals didn&apos;t have a fixed residence or a permanent job. Those fortunate enough to sleep in the same place every night weren&apos;t likely to be part of a standard nuclear family. "[So] we had to tweak the way that we interviewed people," Tang explains. One of the investigators assigned to the outbreak happened to be skilled in social network analysis, and started asking different questions. The new interrogation focused on the details of the patients&apos; drug and alcohol use — the people they drank with and places they got high — which painted a more complete picture of the social habits of this particular Canadian town. The revised strategy revealed that more than 60 percent of those who contracted TB were crack cocaine users. Suddenly, the focus of Patient Zero shifted away from the child and toward another resident, Patient MT0001, an adult with smear-positive pulmonary TB, who was the fifth person confirmed with the illness in the area. But even with the social network data, the outbreak&apos;s story was still incomplete, and the disease continued to spread. By 2007, the BCCDC&apos;s fears were realized. Within the community, TB had climbed to more than 10 times higher than the national average. While the tandem-repeat genetic screens told the BCCDC that all of those infected were suffering from a single TB strain, Tang — trained in genomics and serving as co-chair of the Genome Research Laboratory at the BCCDC — decided to shift to a higher-resolution, whole-genome analysis. By looking at the entire genome of the bacterium, instead of a fragment of its DNA, Tang&apos;s team could resolve even the smallest changes in the genetic structure of the bug. And in doing so, they determined that everyone in the community was not suffering from the same disease subtype. In fact, investigators were chasing two separate TB lineages. That conclusion put the outbreak into perspective, and helped the BCCDC both map the spread of the disease and intervene effectively. Contact tracing and even social network analysis rely on the patient being as honest as possible when talking to an investigator or health professional. Drug users, in particular, may be less likely to be completely forthcoming during the social interviews conducted by epidemiologists, whether due to inaccurate recollection or fear of repercussions for admitting their illegal activity. Tang acknowledges the drawback of social surveys and the need to gather more concrete data: "Having something that&apos;s more objective — having the bug and sequencing it — and relating that bug [to others] within the outbreaks gives you more ... evidence that helps you frame all of that subjective data." Technology will no doubt play a crucial role in the future of public health, enabling investigators to accurately track disease outbreaks, mutations and transmission dynamics. 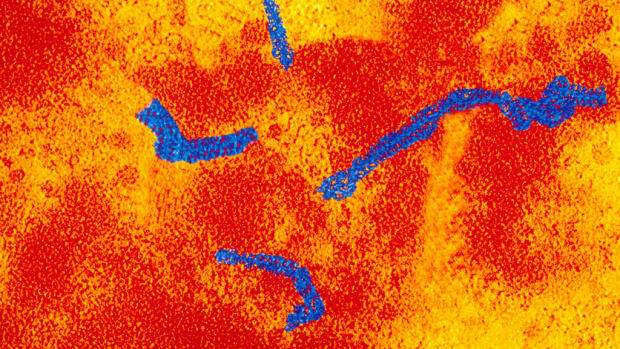 Genomic technologies are becoming faster and cheaper, and that bodes well for the future of classifying infectious diseases with precise molecular tags. "In the next five years or so, we should see more routine use of [whole-genome sequencing]," Tang predicts. But challenges remain as investigators need to find better ways to sort through the large dataset they collect. "There&apos;s no agreed upon set of algorithms for analyzing this data," says Tang. "Everyone is doing their own thing as they [move] into this new territory." Strategies to share data and methods have most certainly forged the path forward. The question now becomes: Who will take to the road and follow? Tuberculosis and HIV are both high-profile global health scourges, but surprisingly little focus has been paid on treating them when they team up. What Will It Take for Conservative States to Allow Needle Exchanges? Indiana has temporarily lifted a ban on needle exchanges to help combat an HIV outbreak. Why leave the ban intact at all? We Could Have Eliminated Syphilis 20 Years Ago. Now It's on the Rise. What can we learn from a failed attempt to eradicate "the Great Pox" in the U.S.? Attack the Epidemic Now, or Ride It Out? The most cost-effective approach to fighting disease outbreaks may depend on how society and the media respond, a new study finds.